Last updated 04 August 2017 . By Tom Capon. Considering gin is now officially the nation’s favourite drink, we’re slightly surprised that Dutch is the first gin bar in Bristol. We are happy though, because Dutch boasts 80 gins now and they plan to get that number to a whopping 350. The venue itself is a minimalist yet cool little hangout, complete with a smooth blue colour scheme, wooden bar and furnishings, and hanging lightbulbs to provide just the right amount of mood lighting. But mother’s ruin isn’t about sitting moodily in the corner: they have two resident DJs bringing the beats too. Of all the alcohol our country likes – prosecco, wine, pints and pints of beer – gin is 100% the best. Not only can you drink it with any number of tasty tonics, but in a series of cocktails, as well as some made from vodka, rum, whisky, tequila and more. There’s also wine and beer, for those unpatriotic sorts who don’t fancy gin. 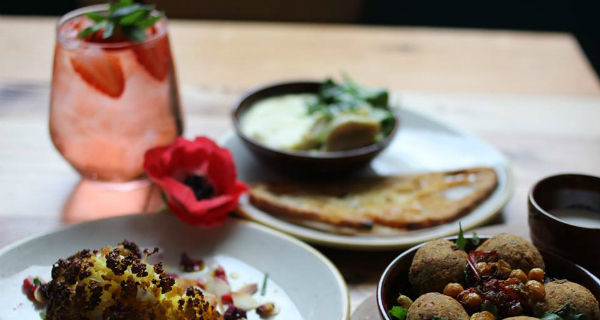 To line your stomach their kitchen serves up a tasty selection of tapas dishes, such as curried chickpea fritters with hot lime pickle and coconut yoghurt.